On Feb. 29, 2008, Rare Disease Day was created to raise awareness about rare diseases and to advocate for improved treatment options for individuals with rare diseases and their families. Because SCORR Marketing is entrenched in the health science industry and this is an important topic with some of our clients, we decided to take a look at this issue: the 20 to 30 million Americans with rare diseases (according to the National Institutes of Health) and their need to see new treatments developed that can help them. While OnPoint will mostly provide critical marketing information, we will also share content we develop on pressing issues facing our industry today. If you have ideas for other topics you would like us to cover, please let us know. Treating these diseases has its own unique challenges, said Scott Schliebner, vice president of scientific affairs – rare diseases for PRA Health Sciences. Schliebner, considered an industry expert on this topic, is also a well-recognized speaker about rare diseases. One of the biggest concerns is that patients are often geographically dispersed and located great distances from one of the few key expert centers focused on a particular rare disease, he said. In an acknowledgment that drugs for rare diseases were not being developed because of their low economic potential, Congress passed the Orphan Drug Act of 1983. The word “orphan” is not defined in the legislation but refers to the rare diseases and patients who have these rare diseases and who seem to be abandoned or orphaned by the health care system. “As our health care system evolves and we look at ways to control costs, it’s important for these conversations to be data-driven and to reflect the realities of our health care spending,” Saltonstall continued. In an interview with Kaiser Health News, FDA Commissioner Scott Gottlieb said he wonders if financial incentives should be different for drugs that receive secondary approvals for orphan drug status. Regulations to encourage new treatments for rare diseases is as needed as ever. “At the same time, I hope this is balanced with some restrictions that prevent some in the industry from finding those loopholes and taking advantage of regulations that were intended to bring new therapies to underserved populations,” Schliebner added. Schliebner agreed that the rare disease research is evolving. “As our diagnostic, genomic and biologic capabilities increase, we are better able to pursue new therapies for neglected diseases and better able to identify suitable drug targets,” he said. 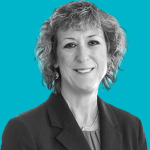 With more than 20 years of experience in the clinical trial industry, Joan is a health science executive who brings a unique blend of strategy, leadership and competitive intelligence skills to SCORR’s clients. She designs and executes collaborative solutions that drive brand awareness and improve your market share and profitability. As a published author and presenter at many industry conferences, Joan synthesizes her understanding of critical issues and business challenges into viable client solutions. She advises on thought leadership opportunities that maximize your visibility and impact. Prior to joining SCORR, Joan was the chief operating officer at CenterWatch, where she set the strategic direction and financial goals for the organization and managed all departments. Her career also includes roles at Cambridge Healthtech Institute, the Tufts Center for the Study of Drug Development and Parexel.